Move your miner like never before. Fun inventions from the mystery grab bag. 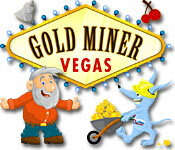 Gold Miner Vegas is rated 4.2 out of 5 by 21. Rated 5 out of 5 by dena50 from great game Love this game! Wish there were more editions! Rated 5 out of 5 by GAPlayer from YEA! I bought a copy of this gold miner but, when I had to get a new computer it would not work. Boy am I a happy finding this game for sale so cheap. I have played it for about 4 years. Now I can get my fix, LOL! Rated 5 out of 5 by lequan9001 from really good game this is one of very few games that's you can still enjoy after years, hope you guys release mobile version! Rated 5 out of 5 by nevadaek from One of a kind Love this game. 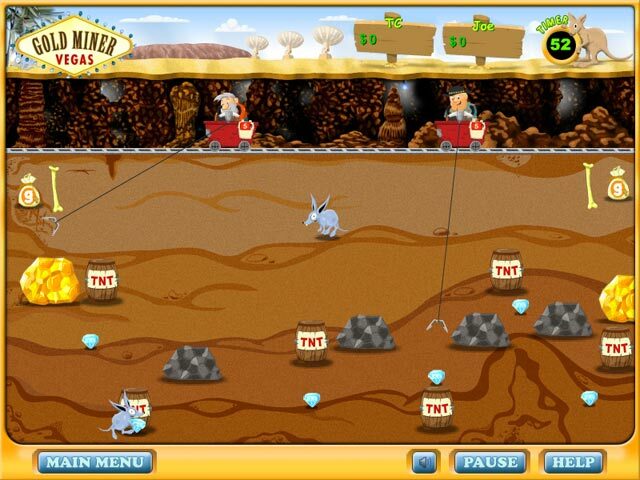 I wish there was a series of Gold Miner games. I don't know of any other game like this. 3 levels of difficulty. If you just want a relaxing fun game then play the easy level. If you want a challenge try the hard level. I find the hard level to be quite a challenge with those nasty badgers eating my gold and diamonds before I can grab them and haul them up. I have played this game a 100 times and I never get tired of it. If anyone knows of a game similar to this, please let me know. Rated 5 out of 5 by AAAV12 from Great game love it this a great game recommended for all ages. Once to you start playing you are hook, can't stop playing. Rated 5 out of 5 by bubblewrap123 from Good Old Classic I don't know what version I had on my 6-year-old laptop, but I never beat that game. I beat this version the first time playing, though I had played for several years before buying here. Mindless and relaxing with no mad clicking. The miner's claw swings back and forth and you will click once when the claw is pointed at the treasure you want to reel up. There is about 10 seconds wait time while the miner reels up bigger gold nuggets from the bottom of the screen, which are obviously worth more money, and smaller objects are reeled up quickly. Each level is timed (60 seconds# and you must reel up a certain amount of gold or gems in that time to get to the next level. The levels are random so you cannot predict how much gold will be on any level or exactly which power-up #dynamite, more time, faster reeling, etc.) to buy between each level. Grab bags on some levels could change your standard claw to a super claw or spike claw, and there are various obstacles on most levels which are either just in the way or could make you lose some time. This game will not appeal to anyone who likes a whole lot of action, but appeals to some children and will definitely improve their hand-eye coordination. There is normal, hard and expert modes. This is one of my go-to games when I need to relax both physically and mentally after a particularly trying day. Rated 5 out of 5 by Oedesh from Gold Miner Vegas Rocks!! I like this game it's always fun to play! Collect gold, diamonds and other treasures to get the amount of money you need for every level! Very fun game! 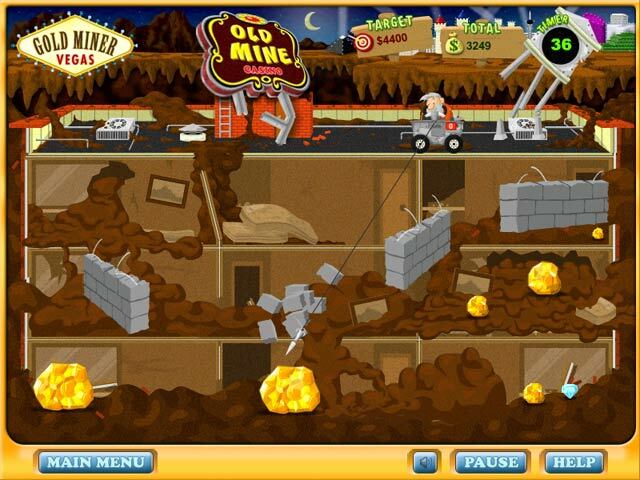 Rated 5 out of 5 by mor_123 from gold miner gold miner is the best games for me. Rated 5 out of 5 by okkk from One of those classics greats! I love this game and Finders Keepers. i play them both over and over again. Unlike most of the games i purchase this one is worth the credit because it so replayable although Finders Keepers is still by far my favorite of the series!